Beginning: On January 30, 1929 in Union Springs, Alabama Early became the youngest of three children born to the late King and Estelle Ellison Cobb. His brothers, the late Matthew and Robert Cobb, preceded him in death. Christian Experience: At an early age, Early joined the Mt. Silla Baptist Church, Union Springs, Alabama; and was a member of the church choir. Education and Business Experience: Early was educated through the Bullock County School system in Union Springs, Alabama, He continued educational studies in Columbus, Georgia. For periods of time during his life, Early lived and worked in Phoenix City, Alabama; Miami, Florida; and Fort Benning, Georgia. After moving to Milwaukee, Wisconsin, Early married Eloise Walker in 1963. They owned and operated the Top Hat Bar & Lounge in Milwaukee until 1983. From there, they moved back to Union Springs, Alabama. Early and his wife, Eloise, owned and operated the Triple E Lounge, as well as the Triple E Bait Shop. Profession: Early was an entrepreneur, carpenter, wood worker, and skilled tradesman. He owned, managed and was the editor of the Union Springs Facts. 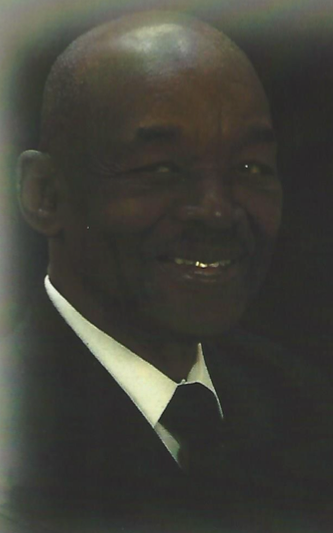 Early was a member of several community organizations including the Bullock County Branch of the NAACP. Farewell: On August 23, 2016 Early answered the call of our Lord and Savior at his home on D Street, Union Springs, Alabama surrounded by family and friends. He leaves to cherish his life and memories his four children: Edith Thornton, Union Springs, Alabama; Jackie Cobb, Milwaukee, Wisconsin; Earl Ivory, South Carolina; and Ellyssa Cobb, Auburn, Alabama; three step children; Sharon, Milwaukee, Wisconsin; Brenda, Atlanta, Georgia, Leonard Balque, Los Angeles, California; grandchildren: Adonicka Ivory, Malcolm Ivory, Tyra Ivory, Marcus Ivory, Xavier Ivory, Miles Ivory and Kyara Ivory and great-grandchildren, one sister-in-law, Leola Cobb, Union Springs; a host of devoted nieces and nephews, other caring relatives, and devoted friends: Theo Smith (Smitty); Ronnie Davis (Mule), Henry Thomas (Buddy); Curtis Elzie, Robert Walker, Walter Scott (Yunk), John McGowan, Santine McCray, Freddie Gosha, Jr. Jackson and a very special devoted friend Lorine Christian. A Homegoing Celebration of Mr. Early Cobb's life will be held Saturday, September 3, 2016 from the sanctuary of Mt. Silla Baptist Church, 409 Locke Avenue, Union Springs, Alabama at 11:00 am. Rev. Larry Jones, Milwaukee, Wisconsin, will deliver the eulogy; Rev. Fred Douglas, Pastor, Mt. Silla Baptist Church will officiate. Mr. Cobb will lie in repose one hour prior to funeral services. Internment will be at Mason Cemetery. The caring staff of Poe's Memory Chapel Funeral Home will direct all funeral services. The family will receive visitors at Poe's Memory Chapel Funeral Home Friday, September 2, 2016 from 1:00 until 6:00 p.m. Our prayer is that God will continue to Bless and strengthen the Cobb family, grant them grace and mercy during this very difficult time.